We chose both the location and name for a reason.. because we wan’t to be your main pathway for all of your financial needs. Building credit, rebuilding credit, bouncing back from bankruptcy, escaping a title pawn, tax services, Christmas loans, or just some extra spending money..
Let us be your MAIN finance company. *All loans subject to our usual credit policies. You’re more than a number, and we’re more than a typical company. We specialize in building first time credit, and rebuilding credit after filing bankruptcy because we do not base our loans on your credit score! Things happen. Don’t let the lack of a credit score hinder you, or a poor credit score hobble you. Take back control today, you’re just one click away! *all loans subject to our liberal credit lending policy. You send us someone. They take out a loan of $100 or more. We pay you. The first three customers you send earn you $30 each, the fourth earns you $100. You just let us know who to make the check out to..
Head on over to our share & contact page to learn how to spread the word, and start earning some cash! You’re not a credit score. You’re not a beacon score. You’re not a number. We’re small, we’re family-owned, we’re family-operated, and we’re ready to work for you. making us state-licensed and rate-regulated. 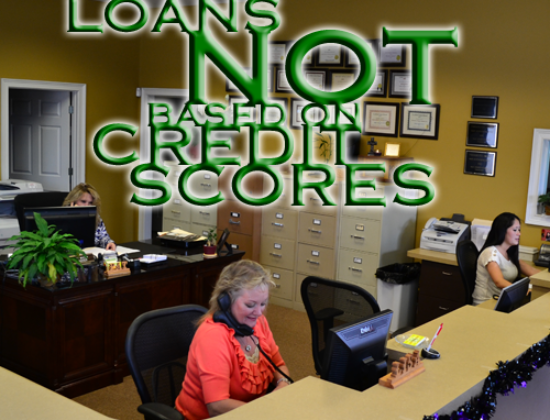 WE DO NOT BASE LOANS ON CREDIT OR BEACON SCORES! WE GIVE STRONG CONSIDERATION TO THOSE WHO HAVE BEEN FORCED INTO BANKRUPTCY! We offer loans up to $3,000. Our application process takes less than an hour. We use common sense and experience to make our decision, not some impersonal scoring system. 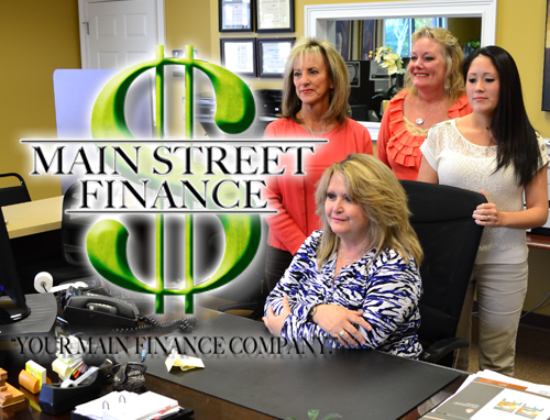 Take a step in the right direction and make MAIN STREET your MAIN FINANCE COMPANY. Mon-Tues: 8:30 a.m. – 5:30 p.m.
Thurs-Fri: 8:30 a.m. – 6 p.m.
GET THE CASH YOU NEED, AND GET IT FAST! It doesn’t matter the reason. 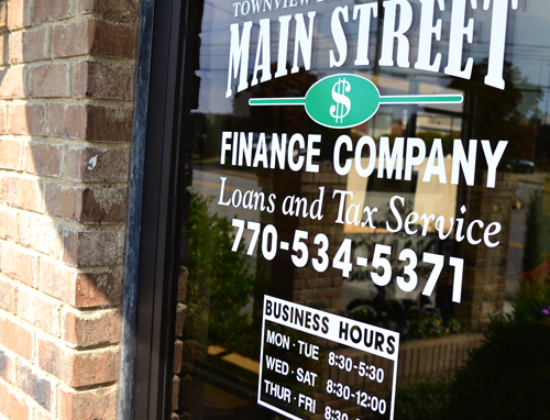 The bottom line is this: you need cash, and we’re here to help. Let’s see what we can do.